Mash the boiled banana and potato gather along with salt, roasted cumin powder, cayenne pepper, besan, cilantro, red onion and green chili. Make small balls and deep fry them in batches in hot oil till they are golden brown. Alternatively, if you are shallow frying them, use a hot cast iron pan with a little oil and flatten the balls slightly so that they are easier to shallow fry. Keep the fried balls aside. Now heat oil in a large pan and add cumin seeds, bay leaf and hing. Then add the chopped tomato and spice paste. Cook till the tomato and spices mix well and oil separates. Add 3 to 4 cups of water and bring the gravy to a boil. 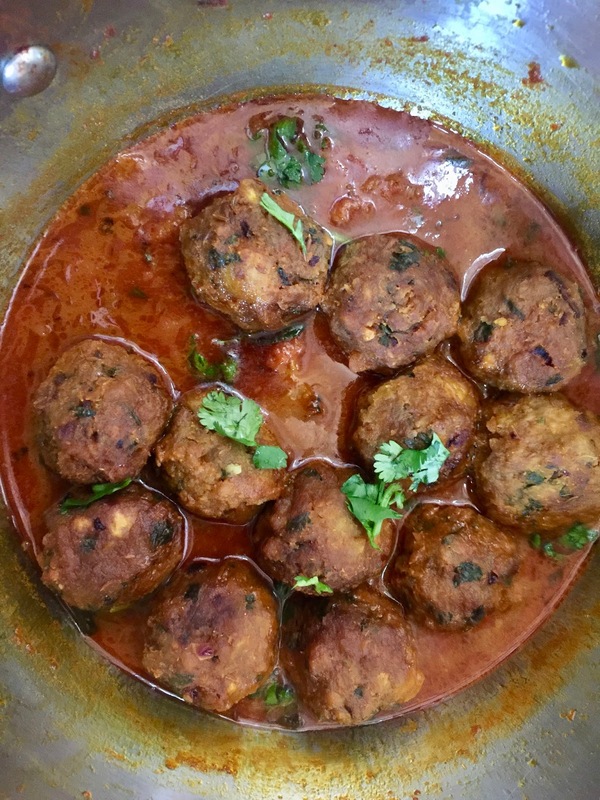 The gravy may appear watery but the koftas absorb a lot of liquid, so the gravy should at least top the koftas. 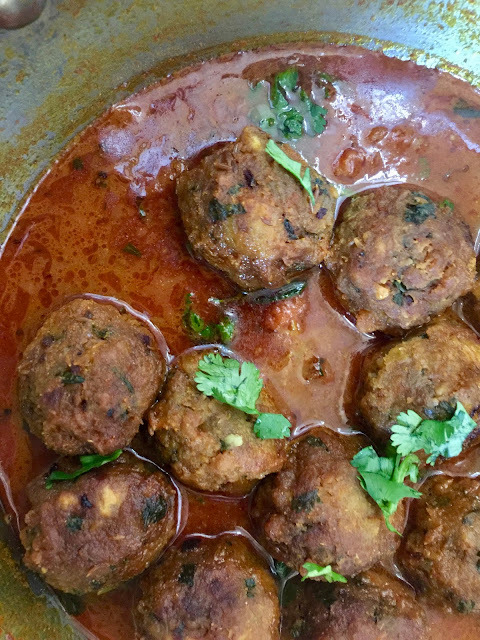 Add in the fried kofta gently to the gravy and boil for 2 to 3 minutes. . Remove from heat and cover and set aside for at least 10 minutes. Sprinkle chopped cilantro on top and serve.